MySQL 8.0.0 Milestone Release Available — A development milestone release so you can play with MySQL 8’s new features now. HTSQL: A Navigational Query Language for Relational DBs — Designed for data analysts and ‘accidental programmers’ who have complex business inquiries to solve and need a productive tool to write and share database queries. Open source. Neo4j + KeyLines: The Developer's Route out of Dependency Hell — How to use Neo4j in conjunction with KeyLines for software dependency management using insights gleaned from graph visualization. 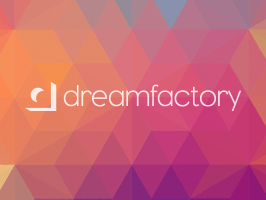 Auto-generated REST APIs from any database — Version 2.3 of DreamFactory’s powerful open source API automation platform brings major enhancements to speed, caching, and versatility. Free demo. BlazingDB Uses GPUs to Manipulate Huge Databases in No Time — BlazingDB works with GPU instances on popular cloud services to let you rapidly run SQL queries over large amounts of data. MIT Programmers Attack Big Data Memory Gap — A new programming language that efficiently manages memory during big data operations. Next Generation Tools for Data Science: Apache vs Google — A comparison of Apache Spark and Google Cloud Dataflow in the context of being two key ‘next generation’ data processing frameworks. QuineDB: A Quine That Is Also A Key-Value Store — A quine is a program that, when run, outputs its own source code. Stores data in a shell variable. Solely for fun and an interesting experiment. Find Your Perfect Company Match — You're smart, you're efficient. Why job hunt the old way? Try Hired and get your profile in front of thousands of top tech companies. Some Notes on Shipping CouchDB 2.0 — CouchDB is “tantalisingly close to shipping 2.0”. SIEUFERD: A General Purpose UI for Relational Databases — An academic project that’s not publicly available. Calculating Proportional Values in SQL — Aggregations are common and generally straightforward in SQL, but some more complex operations like medians require a bit more work as demonstrated here. MySQL 8.0's Invisible Indexes — Invisible indexes are a new feature in MySQL 8.0 to hide an index from MySQL’s optimizer. Command-Line Tools Can Be 235x Faster Than Your Hadoop Cluster — A ‘golden oldie’ that’s done the rounds again this week. Why You Should Build Your Own NoSQL Database — Covers the basic principles and creates something very simple in 33 lines of Crystal. 5 Mistakes to Avoid When Deploying An Analytical Database — Leading data-driven organizations point out five common pitfalls. Spot performance bottlenecks right away with Datadog — Correlate and investigate: Monitor query latency and errors alongside CPU, memory, network, and I/O metrics. EliasDB: A No Dependencies Graph Database Written in Go — Exposes a REST API.